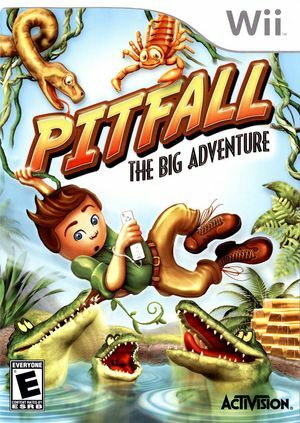 Set in the Peruvian jungle, Pitfall: The Big Adventure combines the action of reptile dodging and vine swinging with clever puzzles. The game will feature over 60 levels spanning lush rainforests, creature-filled caves, and glacial mountains. Within these dynamic worlds, players will explore cavernous jungles, discover lost treasures, battle shamen, narrowly escape treacherous traps and outwit creatures using innovative, accessible game mechanics developed specifically to take advantage of the Wii motion sensing controls. The game is similar to GameCube game known as Pitfall: The Lost Expedition. Pitfall: The Big Adventure is capable of using both GameCube controllers and Wii Remotes. If a physical controller is set to emulate both a GameCube Controller and a Wii Remote concurrently, it will operate both devices at the same time. To fix, migrate controls to use separate physical controllers. The graph below charts the compatibility with Pitfall: The Big Adventure since Dolphin's 2.0 release, listing revisions only where a compatibility change occurred. This page was last edited on 3 March 2018, at 07:49.